Right across from our house in Corozal Town in Belize is the ancient city site of Santa Rita. 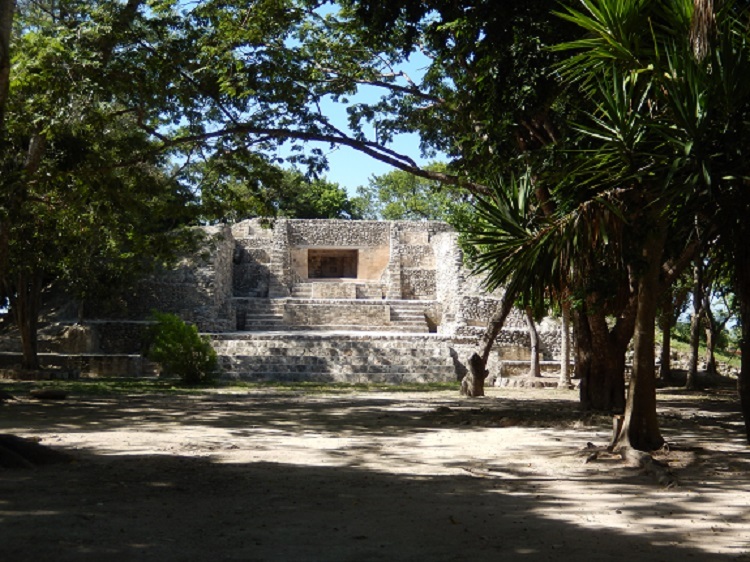 It was one of the last Mayan cities to be active. One of the good things is that Santa Rita sits in a minature national park, and about 20 years ago a caretaker named Pedro planted lots of native trees around it. We also planted lots of trees around our house. So, now one of the great things about living on top of the ancient Mayan City is that we have lots of birds. 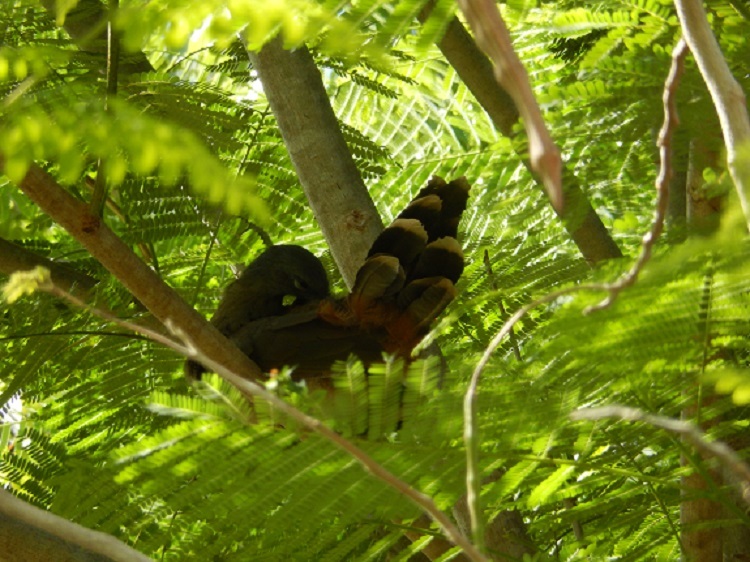 Actually a pair of Chachalacas, a forest species, is living in our yard and they sit up in our trees.